Learn how to format Alcor AU6981 and AU6982 USB flash drives .Download AlcorMP UFD 6.15 formatter and update Alcor AU6981 firmware . AlcorMP UFD 6.15 recovery software has been designed to reformat Alcor USB flash drives . 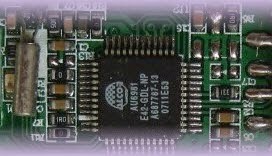 AlcorMP UFD 6.15 format software support repairing Alcor chip controllers with the following chip controllers AU6981 and AU6982 . AlcorMP_UFD 6.15 formatter can fix Alcor format errors such as write protection error , please insert disk error message ,Raw flash disks and other format problems . AlcorMP UFD 6.15 firmware support repairing the previous chip controllers , so please don't use it with different controllers .First determine your USB flash disk chip vendor , you can use Chip genius software or USB Deview V2.30 utility. 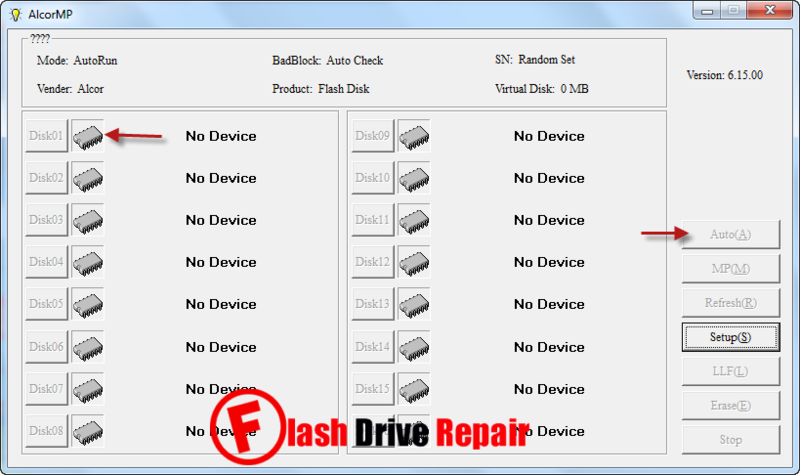 How to fix Alcor AU6981 flash drive ? Download AlcorMP_UFD 6.15.rar from download links below . Insert corrupted Alcor USB flash disk to your Computer . Extract AlcorMP_UFD 6.15.rar and open AlcorMP_UFD 6.15.exe . 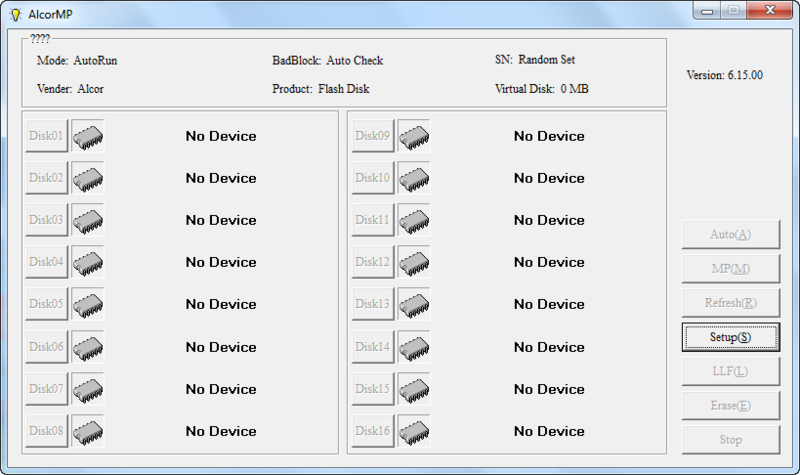 If your flash disk is supported , you will see flash info appears on the software interface . Click Auto (A) to start reformatting your USB flash disk . Do you serve these programs for all pen drives, or only of that brand?.